Polar fleece is a fairly hard-wearing and low maintenance fabric. Most products made with polar fleece can be machine washed and dried but not dry cleaned, as the cleaning solvents disrupt the chemical makeup of polar fleece and will damage it. Following the care instructions on your garment's label is always a safe bet but there are other steps you can take to not only clean your polar fleece but keep it looking new and feeling soft longer. Your goal here is to minimize the abrasion of the fabric during washing to prevent the pilling and matting that changes not only the appearance but also the soft feel of polar fleece. Start by closing all fasteners and hardware such as zippers, toggles, snaps and hooks on the garment. Then turn it inside out, which will also help to reduce pilling and smashing of fibers. 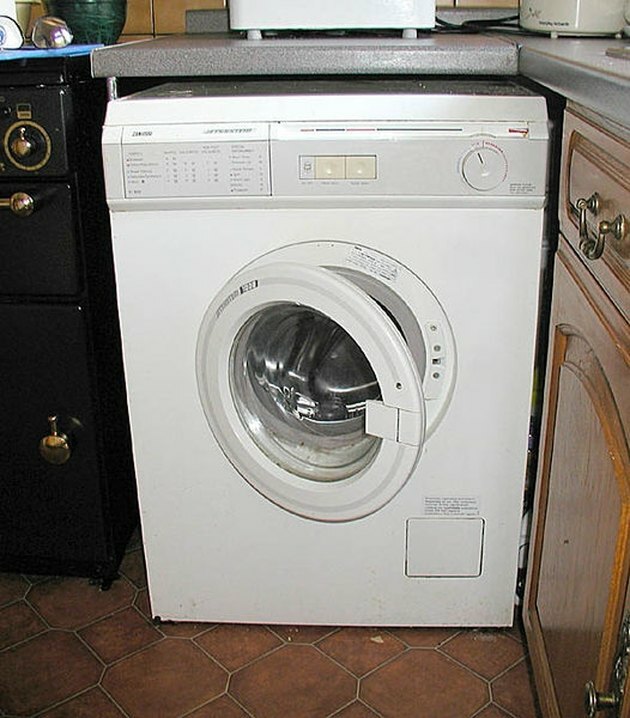 Select gentle wash and rinse cycles with warm water using a small amount of mild detergent. Hand washing in the sink will always produce a gentler wash with less abrasion, but if you don't have the time, machine washing on gentle will work nearly as well to lessen the stress on the fabric fibers. You can hang or lay your fleece out flat to dry naturally on a clean dry towel. If you do not have the time, the dryer on a medium to low heat setting will dry your polar fleece relatively quickly. If you do not use liquid fabric softener, you can throw in an anti-static dryer sheet at this point. Polar fleece is a bit famous for its static cling abilities and if you've worn it in static circumstances you can attest that it can feel like sausage casing around you and magnetically attract every speck of lint, dust or pet hair in the area. Using fabric softeners in the rinse cycle can often combat this tendency of the fabric but it may impede the water repellent that is added to some polar fleece. It's a trade-off, but if your fleece is not treated, use softener, as it will improve the comfort and wearability of your polar fleece.